A coordinating leather leash is available in many widths, 4ft, and 5ft lengths. Metal accessories are made of solid brass plated nickel. High-quality swivel and scissor hook clasp, with a quality snap hook for narrow leads. 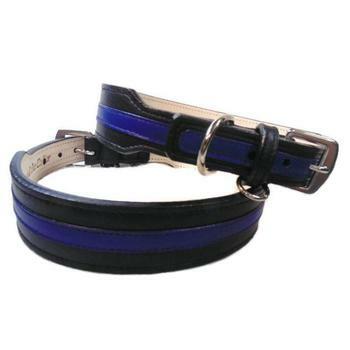 Please note: This is a custom made to order dog collar and not eligible for exchange or return.